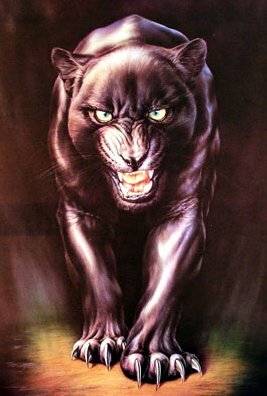 The term Black Panther is quite often used in connection with large black cats - however there is no one distinct species of wild cat called a Black Panther. 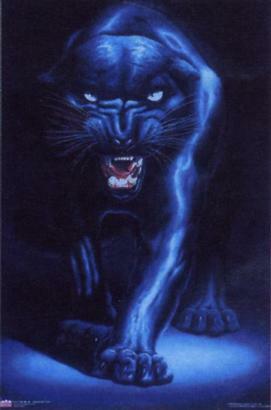 Over the years it has become used as a common name which can be applied to any large black coated cat. 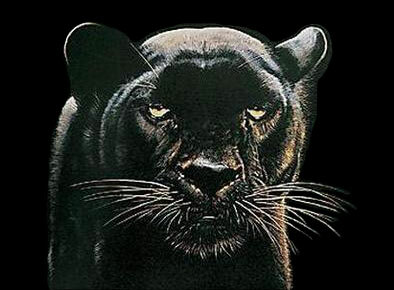 When you see a picture of a Black Panther it is most likely that you are looking at either a Leopard or possibly a jaguar with Melanistic coloration. 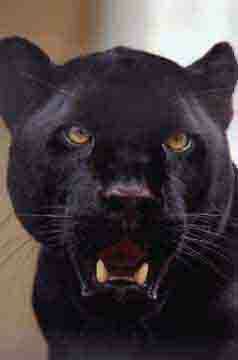 The term Melanistic is derived from the word melanin, a dark coloured skin and hair pigment. 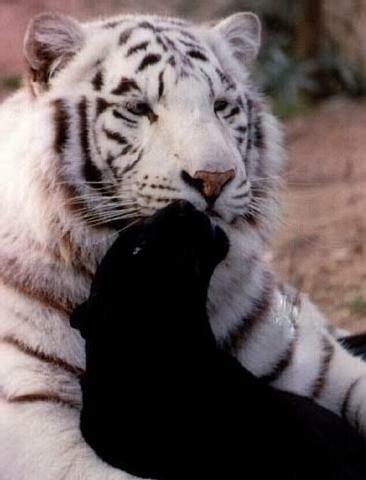 In cats, melanism results in the fur of the animal being very dark or black in colour. In many cases the usual markings of the animal can be faintly seen through the dark fur, especially at certain angles in bright sunlight. 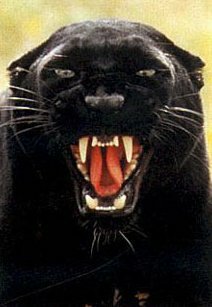 Melanism occurs because of a mutation or abnormality of one of the cats genes which is associated with coat coloration and markings. Melanism is hereditary, but is not necessarily passed directly from one generation to the next - it is therefore common to see mixed litters with one black cub along side normally coloured brothers and sisters. Melanisim can also occur in other species of wild cat - black coated caracal, Geoffreys cat, margay, bobcat, ocelot, jaguarundi and serval have been noted in the smaller cats as well as occasional mention of the coloration in the larger lion, tiger and cougar. 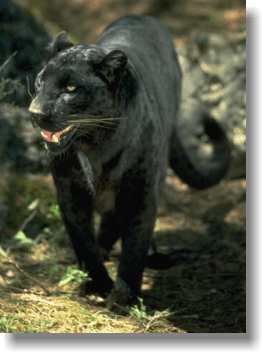 Melanistic leopards are more commonly found in dense tropical rain forest of S.E Asia - here it is thought that the dark coloration acts as better camouflage in the low sun light conditions of the forest floor, giving the cat an advantage in hunting. 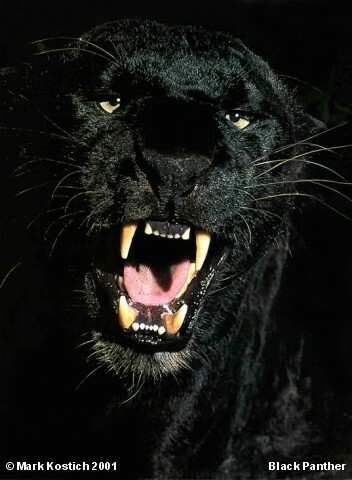 If this is the case, it is also possible that a black leopard will also be at an advantage in being able to provide more food for its young and as a result the probability of the melanistic gene being transferred through the population will be greater. WHERE ARE YOU IM COMIN TO GET YA!!!!!!! !